Now in my periodic boundary conditions, I chose to add $+10$ but could have added some other number instead. 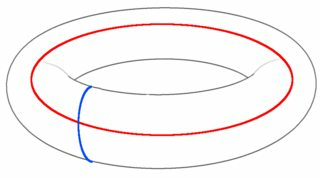 How does this "size of the torus" affect the function of the toric code? The Toric code is an error correcting code. The distance of the code (I.e. 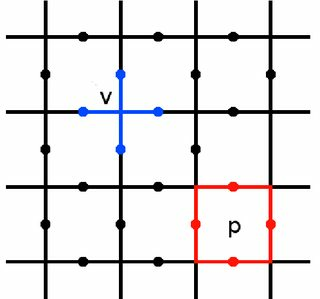 the number of local operations required to convert one logical state into an orthogonal one) is equal to $N$, where the Toric code is defined on an $N\times N$ grid. One of the places that the performance of the Toric code really wins out is that although it is only distance $N$, the vast majority of sets of $N$ single qubit errors can be corrected, and it is only once you get $O(N^2)$ errors that you get killed. That means that as $N\rightarrow\infty$, those $O(N)$ terms vanish, and you get a finite per-qubit error rate as a threshold for error correction. For finite $N$, the error correcting threshold will be lower. Not the answer you're looking for? Browse other questions tagged architecture fault-tolerance topological-quantum-computing anyons toric-code or ask your own question.